A general contractor is someone you hire to coordinate a home improvement or construction project. Although many will take on a variety project types and sizes, they are normally used for bigger projects, complex projects, or in cases where there are multiple interconnected projects to be completed. Traditionally general contractors will have some workers on their payroll to handle demolition, carpentry, electric, plumbing, and other basics; for everything else they will hire various subcontractors, or “subs” (the balance of subs to staff varies). In some cases, a “paper contractor” will not have his or her own staff, but will subcontract all work. In almost all cases, they will have developed relationships over time with certain subcontractors that they know and trust. What does a General Contractor Cost? Using a general contractor instead of “subbing out” the work yourself will usually cost around 10-20% more on average. In some cases, however, it may actually cost less than doing it yourself, particularly if you don’t get multiple bids when hiring subs. Often the general contractor’s staff can do certain jobs for less than subs. 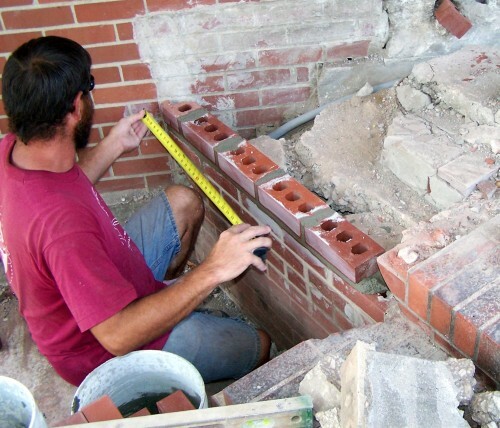 There are a number of advantages to hiring a general contractor. First, it makes larger, more complex projects more manageable, since you can leave many of the details to someone else (finding subs, making sure the work is done and done right, paying the sub, etc). Second, experience in coordinating some of the more general aspects of projects can be very valuable (e.g. knowing which parts of a project need to happen in what order, when and how to get permits, and issues of licensing/bonding). Finally, since general contractors have established relationships with certain subs, providing them with regular business, it is not uncommon for a subcontractor to “go the extra mile” for a general contractor that gives them a lot of business. This could mean better pricing, working overtime to get things done quickly, or holding a spot in their schedule. In other words, a general contractor can make a project move faster and with less heartache for you. If you do decide to use a general contractor, interview him or her thoroughly. Be sure to check references and get an itemized cost breakdown as part of the contract. Note that if you plan on getting a loan to do a major project, the lender will often require that you hire an experienced general contractor unless you can demonstrate substantial experience in the field.